Mobile phones were dumb. Letters traveled by pneumatic air. Tweeting was for birds. Users were chatting on the Minitel. ICQ beat IRC. Xerox challenged the Thermofax. YouTube was just another Web 2 start-up. Fax was the new Telex. You were calling up Bulletin Board Systems. Only university students were using facebooks. History had ended. We had nine planets. The net jargon acronym BWPWAP – Back When Pluto Was a Planet is an expression used whenever one wants to talk about things in our recent past that have changed quickly. 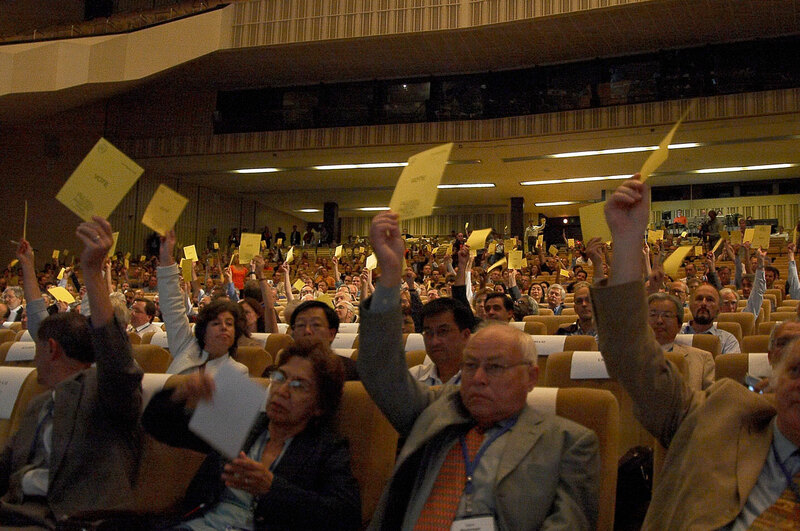 "On August 24th, 2006, at the closing ceremony of their general assembly, the International Astronomical Union infamously voted in favor of “demoting” Pluto from its planetary status. [...] So from nine planets, we now officially have eight planets in the solar system. So what is Pluto? A dwarf planet, a plutoid, a planet, a mythological ruler of the underworld, a cartoon dog. More than these possible definitions, in the context of transmediale 2013, Pluto stands for the introduction of an element that is generating crisis: its fluctuating and contested identity confirms the reformulation of established knowledge categories. The vote to “de-planetize” Pluto was, however, not popular with everyone. Complaints were heard from astronomers unable to attend the 2006 meeting and a broad public response erupted, with rap songs like “Bring Back Pluto,” T-shirts and bumper stickers protesting the vote, computer games such as “Pluto Strikes Back,” YouTube videos depicting Pluto for planet demonstrations. The list of popular and user-culture responses goes on. And then there is the net jargon acronym BWPWAP – Back When Pluto Was a Planet, used to describe things in the past or things that do not conform to established standards of knowledge. Working with a closed archive to recontextualise from scratch: This is one of the 116 pictures of the famous Golden Voyager Record which was used in the BWPWAP campaign. Photo: Ansel Adams. The imagery of transmediale 2013 BWPWAP particularly reflects the contemporary phenomenon of recontextualisation in internet-user culture. The lively and quick exchange of memes, the creation of tiny entities of information and their constant change overs involve a certain ability of association, the possibility to deal with the complexity of a reference jungle. This leads to a fascinating semantic diversity of the web's communication nowadays. The design of this transmediale issue uses mentioned strategies of appropriation and aesthetics of the meme culture (e.g. Impact font, remix and collage strategies) to create an own visual world mostly by involving old picture material of a closed archive (Golden Voyager Record Pictures), which wasn't use in the scenery of recontextualisation yet. The clash of fast feedback aesthetics and black and white imagery of former times questions the ongoing reconfiguration of cultural values & production. Do we have time to think about this? Chapter 1: Introduction of the thematic framework of BWPWAP. Chapter 5: The exhibition section with "Tools of Distorted Creativity" takes its inspiration obviously from the design of the "Whole Earth Catalog - Access to Tools"
Special: The book features also colored artworks of Sonia Landy Sheridan... a pioneer of analog<>digital xerox copy art. Erik was the beloved and also very hated avatar of the BWPWAP website who entertained and annoyed people by his appearance (visual+audio) in the top of the website – he also appeard in the book & on flyers actually. Similar than "Condescending Wonka" he knew just too much. Speaking about the design: Its idea is based on the creation of an atypical retro-future look and feel. The website uses again the archive of the Golden Voyager Record to generate the retro feeling and combines these elements with contemporary web/meme aesthetics: see the acronyms of the single events overlaying the pictures etc. In terms of navigation the event-details were designed in neon colors to help overlooking the festival threads "Networks, Users, Paper, Desire". From a visual point of view the dwarf planet Pluto is hard to catch. There are very less photographs around – just also only in thumb size. We used a computer simulation and pumped it up - a blurry place to put cultural imaginaries on. "Let's go BWPWAP: Using the past as a medium to refract the present and reimagine future cultural practices." Erik. The switch of the Before-After schema to After-Before supports this effort. The typography of the meme culture is defintely Impact, availbale on every Microsoft Windows and Macintosh computer. Significant is the use of white capitals with black outline for the best visability. The meta framework of BWPWAP goes back to "The Imaginary Museum" by André Malraux, as one of the most influential paradigms for the technologically informed cultural production of the 20th century. At transmediale 2013 and beyond, this discussion of The Imaginary Museum will be interrogating the past, present and future processes of decontextualisation and re-contextualisation taking place in contemporary network culture. The design got inspired by Malraux's book cover with the prominent index finger: the arrow (pointer) stands or shows the final product of de/recontextualisation, makes aware of the shift. Look!